Awesome time at the Chinese new year Celebration. Los Angeles, 2014, Year of the Horse. Last night I had an awesome time taking in the Chinese New Year festivities at the Thien Hau Temple in Los Angeles’s Chinatown. Amazing feeling. The night was chilly, it had sprinkled a bit earlier and the streets started to shine. The reflections of the streetlights gave some color to the night, and the air felt clean and fresh. I parked a few blocks away (Ain’t she a honey?) from the temple and walked over. It was tough to find parking at all, and I had driven around for a while. I will keep this in mind for next year. Once parked, the temple was easy to find. All you had to do was follow just about anybody walking around in chinatown at 10:30 pm on this night. It was like we were all being magnetically drawn to it, and as we got closer you could smell the incense in the air and hear the drums din in the clear night. It felt like the closer I got, the more positive I felt. Everybody was just so happy, so looking forward to the festivities. Kids were propped up on dads’ shoulders for a better view, cell phones, digital cameras, and tablets were ubiquitous when commingling with all the ancient traditional garb and gear. Smiles everywhere. This little guy was yelling at everybody who passed by, smiling and yelling a version of gung hay phat choy at anybody who passed by. The kids involved with the festivities showed great respect to their elders, sitting in orderly rows and jumping on any task when prompted. They The elders ran around trying to get everything ready as the drummers played on for about half an hour. There was even a new years princess of some sort, and she posed for pics with all the dignitaries, as somebody in the crowd called them. After the half hour of drumming, and as it got closer to 11 pm, some of the attendants started to set up the fireworks, and some of the elders went into a real frenzy. Still smiles all around, they set up 20 foot rolls of red firecrackers on a bit of scaffolding. Then on the signal of one of the temple workers, they all took an incense stick and lit the fireworks. I wasn’t ready for the sound. I really do love loud noises. I cover my ears and I do value my hearing, but I’d be lying if I said I didn’t make sure to listen with an exposed ear for a few pops and booms. SO loud, I didn’t expect such a blast from these little fireworks. Also, the debris flying off these things was crazy. The whole affair had a crazy feeling to it, like this should not fly in PC Los Angeles. When the firecrackers started, the whole crowd backed away from the guardrail. I didn’t. I stood firm, and I took a lot of firecracker paper and cardboard to the face, but nothing serious. It felt like when my crazy uncle would let me do something that my mom never would. . . like the decision was made to say “Look, this is tradition. We’ll do our best to keep people from getting hurt, but I’ll be damned if we don;t pop some ACTUAL firecrackers, and make some REAL noise.” It was beautiful. After the blasting, the Lion dance began, I realized i was behind the actual presentation so I walked around to the side and got a bit more film. When the dancing was done, the lions made their way into the temple. The crowd was buzzing with anticipation for the new year, and it was palpable. I honestly think I might have had a better time for Chinese New Year, than I did for our regular New Year! It felt like a reset, like a cleansing and clean break from the worries and tribulations of the past year. I hope i get to attend many more of these. This also has me wondering, how do they do it in San Fran? New York? Chicago? I may have to go and find out for myself! Gung Hei Phat Choy everybody! Insert Title Here. . Monday doldrums. Then, when I was in Puerto Rico about 9 months ago, I was reading Hemingway’s “Islands In The Stream“. In it, the Papa character is talking to his boys about literature, and the young, really bright kid says something about reading Joyce. I think it’s the older son who mentions Ulysses specifically. Papa then talks about how the book is different each time you read it, seemingly because you find yourself older and more familiar with te material. You know more, therefore can understand more of the book, and can decode more of the puzzles and hidden meaning Joyce stashes away. Anyway, I plan to tackle it soon, and a dog-eared 1968 edition hardcover sits on my bookshelf, waiting for me to put down the Homer, and invest some time in some new James Joyce. All I’ve read from him recently is “Dubliners“, but when I read it, a wave of nostalgia hit me. I had read one of the short stories back in college, and I remember learning the meaning of a word in the context it was being used. More than that though, I remember loving the story, and I remembered the feeling of reading it all these years later. So I knew I had to read Ulysses. Especially considering that many of the characters in Dubliners actually make appearances in Ulysses. Anyway, that’s my little literary moment, other than that things have been fairly uneventful. I’ve been going to Grand Central Market on Sundays quite a bit. While everybody is at church, I’m ordering a taco of carnitas and getting my shopping done. I’ve been going to the same stand for gorditas since I could walk. My grandmother used to send me there for her lunch, so it has a special place in my heart. Not that it needs the sentimental connection, it’s delicious and stands tall on its own. Let’s see, what else . . . ? The other day I cut into a nasty mango! That was pretty gross. hmm. And we’ve had a couple of nice creepy foggy days in the valley. Also, Ethel, my beloved 68 Coronet, is in the shop. I was worried that the rear end was starting to sag a bit too much, but the mechanic assures me it’s just the shocks. He also says I had it tuned a little bit wrong, but said he could see how I would make the mistake. I think he was just being nice. I don’t care, I just wanna burn rubber. Soon. . .Patience. . . I keep promising myself I’m going to drive the coronet exclusively, but traffic scares me. Muscle cars heat up at idle. Really need that airflow to cool everything down. Well, I’m rambling now, and glad I decided to sit and write a bit today. I’ve been good about keeping my paper journal, which is more personal, so this blog has suffered. I’m going to make a point to cover more musical and art events this year, hope to make up for it in spades. For now, peaces. My baby is in the shop! Why does this always happen when you’re elbows deep in the middle of work? The Coronet is in the shop for a weird rear end noise. The rear end being the one part of the car I haven’t ever taken apart myself, I decided to leave it to the professionals. I also am trying to figure out what my gear ratio is in the back, just because I don’t have that info, and it could make a difference in deciding which gear ratio to choose. It’s a hard thing to explain, but generally speaking, it’s like the gears of your bike. You can have a really tall gear to cruise at 75 on the freeway without burning any gas, or you can have a really short one, and climb hills with ease, burn rubber and really accelerate like a mofo. I’m looking for something in the middle. I want to be able to cruise my car on the freeway, but also not embarass myself at the drag strip. So for now, I’m waiting for her to come out of the shop so I can cruise her around for a bit again. I feel like I’d been neglecting her over the holidays, only cruising her about 3 times in the whole season. Anyway, I guess this blog entry is just a device I’m using to avoid calling my mechanic. 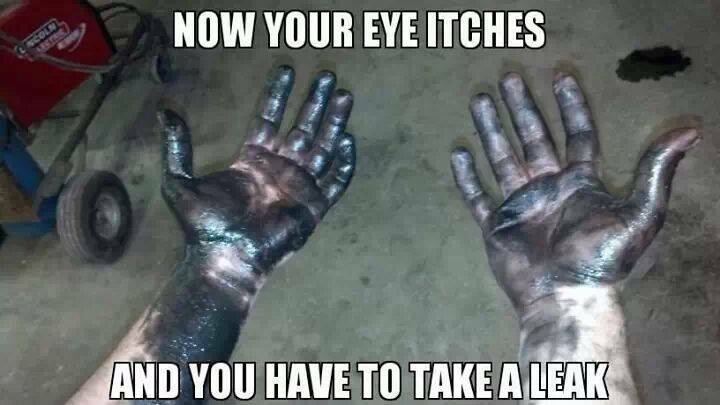 There;s nothing worse than rushing your mechanic. Let them do their thing. It might even keep your bill smaller. Well, until next time . . . .